Mew, mew, hello, hello! My name is Willow, and I'm so happy you're taking the time to read this! I'm just going to be honest with you and say that you will not regret your decision! Anyway, I want to tell you a bit about me. I'm a slinky, small tortoiseshell girl. At first you might think I'm an older kitten, but I've actually had kittens before! My mini me's have all found loving furever homes, but wait! I need a home, too! I'm super sweet, loving, friendly, and I'm even what you'd call cuddly. If you let me, I'll be happy to sleep on you! Back to my mini me's...I was found pregnant with them and I was starving, too. I'm so glad a nice person saved me! A lot of people think it's amazing that after all I went through, I've still been able to come out of that situation and be totally comfortable with people, love, and be loved! If you'd like to adopt me, click here to fill out an adoption application! If you can't do that, click here to leave a generous donation to the All About Cats rescue! Oh, and if you can't do that, I'm sure you can click here to check out the rescue's website, right? I've had a hard beginning in life, I've said hello and goodbye to my kittens, and I don't have a place to call my own...what are you waiting for? Adopt me today! Sweet Willow, I just know you'll find a very special furever home soon. There's a special place in our hearts for the mommas. My angel sissy Cinderella was a momma before she became my Momma's baby. You'll be someone's baby soon! You look so sweet, Willow...I hope you find a new home soon! Willow, we are so happy you were rescued and hope you find a wonderful forever home soon! I hope you find a furever home. Oh Willow, you are such a pretty girl and we all have our paws crossed that you find a home really soon. Hope you have a FINE Furever home BEFORE Santa Claws time. We hope you find your forever pawrents soon! OH! 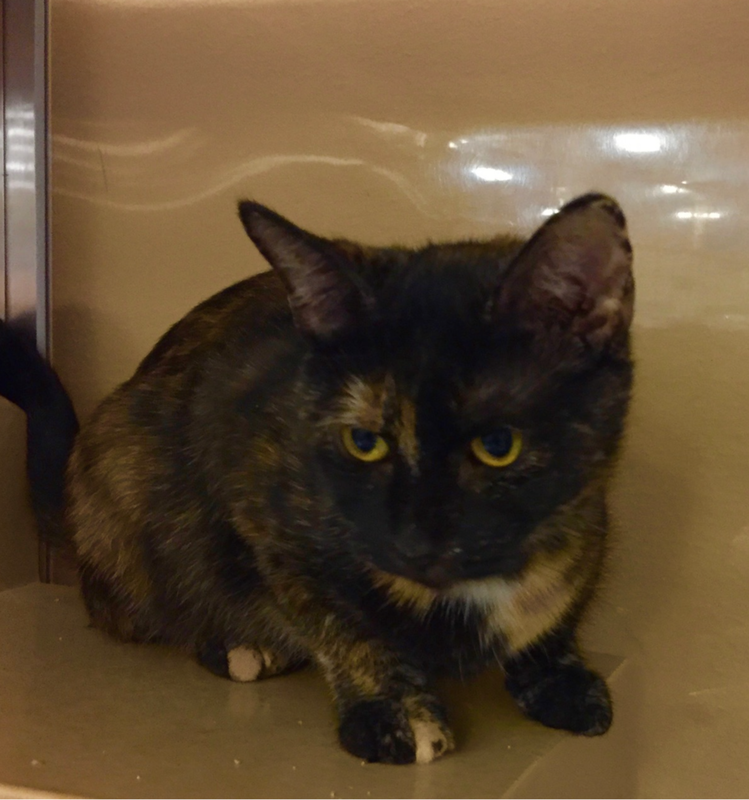 She looks just like our Florida associate Miss Charlee's kitty cat friend Lane, who was a tortoise shell too. Sadly, Lane passed away a few months ago.